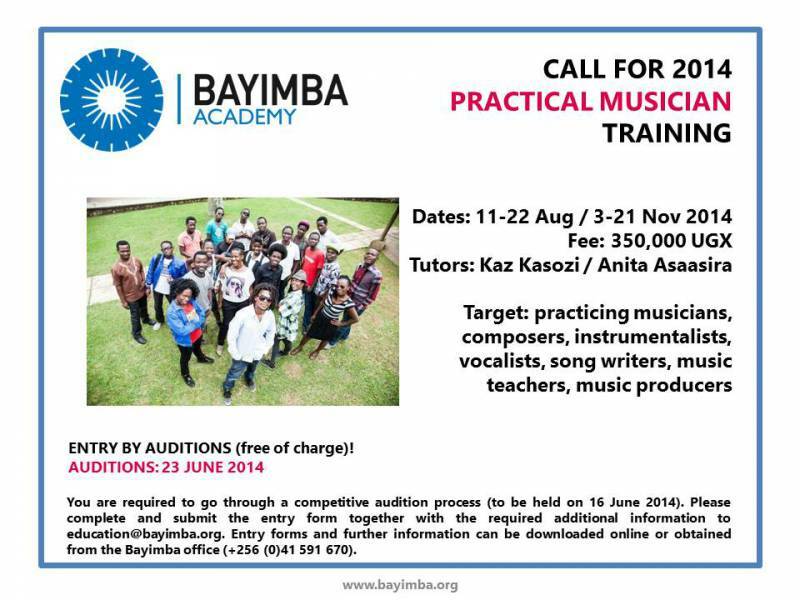 The 2014 practical Musician training Auditions are slated for the 23rd June 13, 2014 at the National Theatre of Uganda. Target: Practicing musicians, composers, instrumentalists, vocalists,Song writers, music teachers and music producers. Interested persons can contact Bayimba Academy at: education@bayimba.org for more info or read the flier for more contents.